Your destination for the best RV resorts in Florida. When you drive your RV through Bayhead, you'll feel connected to nature. The resort is brimming with live oak and tall pines, so you'll have a true camping expereince just 2 miles from Florida's capital city. Tallahssee is a great place to enjoy both nature and culture. Whether you want to take a hike at Lake Talquin State Forest or enjoy fine art at the LeMoyne Center for Visual Arts, there's something for everyone. If you love football, Tallahasse is the place for you! During football season, it can be hard to find somewhere to stay near the stadiums. We are just 5 miles from both FSU and FAMU. These powerhouse programs bring fun and excitment to the area, and you can put yourself right in the middle of the action. Bayhead is the perfect RV resort to call home as you watch your team take on rivals this fall! Plus you can enjoy college sports, arts and more all year. So, you know about the area. Let us tell you about the resort. Camping at Bayhead is a unique experience that will make you feel right at home. The RV spaces are all 45 x 90, so you'll have ample room to park your rig, have a campfire and park up to two vehicles. Bayhead even supplies individual garbage and recyling cans that the office staff put out and bring in for you. Kick back and relax, because you're on vacation at Bayhead! Want to stay active? You can do that right here at Bayhead! Gather the family together for a pool day at our sparkling swimming pool that you can enjoy all year in Florida's beautiful weather. Or head to the basketball courts to shoot some hoops with family or new neighbors. Bring the kids over to the playground to run off those s'mores before bed! We also have fun weekly activities that you can join, too. We'd love for you to become part of the community here at Bayhead. Check out our Facebook to see what's going on today: www.facebook.com/bayheadmhp. Ready to relax? You can do that here too! Hang out in our community center where you'll find residents and guests playing cards, hanging out or enjoying an event. You can grab a book at our lending library and head to the pool to soak up some sun. Or head to the gazebo and chill out with family and enjoy the outdoors! Whatever you do, we know you'll have a great time at Bayhead. We're called the Sunshine State, know for our beaches, beautiful weather and great tourist attractions. It's why Florida is such a hot destination for RV campers across the country. So, what makes people really want to come here? The name "sea cow" probably doesn't conjur up images of something cute, but let us tell you the manatee is cute. They are gentle giants who love warm water. When you visit Florida you can even take a dip with these lovable creatures! If you love the beach, you'll love RV camping in Florida. Whether you want to stay at an RV park near the beach or an RV park on the beach, there's something for everyone. Plus, you can play on the beach almost all year long. Since us Floridians bring out our winter clothes at around 70 degrees, you'll have a beautiful beach all to yourself. Disney World Disney World is magical whether you're 5 or 95. From the scenery and the rides to the food and fun, it's an experience you won't soon forget. You don't have to stay in Orlando to enjoy Disney. 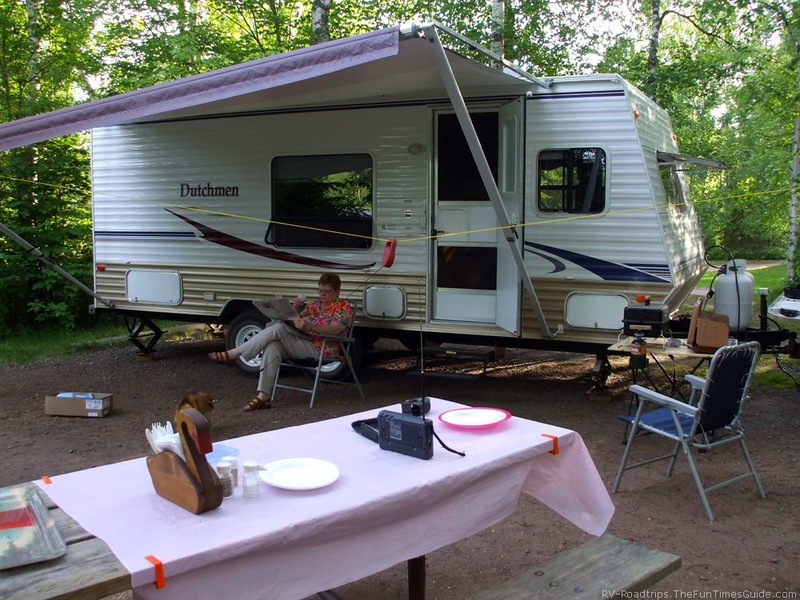 RV parks near Disney World make just as great of a location without all the extra traffic. Okay, we aren't the only state with sunshine, but if you come RV camping in Florida you'll notice the sun is a little different. It's warmer, brighter and more beautiful. Just remember to put on lots of sunscreen when you're enjoying the great outdoors in Florida. We aren't called the Sunshine State for nothing. Rumor has it that the Cuban sandwich got it's start right here in Tampa, Florida. When you come RV Camping in Florida, you don't want to miss the Cuban sandwiches. They are crunchy, delicious and packed high with meat and cheese. Seriously, they are good. Golf is big in Florida, in fact, we have the most golf courses in the country with over 1,200. Since we have nice weather all year, there's never a bad time to play. And with so many golf courses you'll never park your RV far from the green. Life is good! Have you ever had freshly squeezed orange juice from real Florida oranges? If not, you're missing out big time. Even if you don't squeeze it with a dinosaur, it's still delicious. When you come RV camping in Florida, you can stop by an orange grove for a tour, grab some oranges and have fresh OJ for your morning meal. Melt some butter, because we have some of the best and freshest seafood in Florida. We have seafood restaurants across the state with delicious fare from crab and lobster to scallops and fish. Many places even serve freshly caught seafood or will cook up your catch of the day! Our water parks are open all year. Whether you want to explore bigger ones or a smaller local one, they are great places to cool off. Come RV camping in Florida and make a splash! Summer really isn't a season so much as a state of mind. If there's one thing you want to pack on your vacation to Florida it's flip flops. We wear them for all-purposes! Is the open road calling? Well start your engines, because you are free to roam the country! If you own your RV, you're free to come and go as you please. That might mean a fun last minute RV trip. Need quick planning advice? Here are some tips. Maybe your hitting the open road without a plan. If you're not, it's a good idea to figure out where you're going. With modern technology, you can plug your location and multiple destinations into Google Maps for a quick plan. You can even customize it so you don't take the highway, so you avoid toll routes or so you get there quickly. Bring the printed directions along, even if you have a GPS in your motorhome. Keep a map handy too, just in case. This is especially important during peak travel times such as spring, summer and holidays. You should never assume that you can secure a walk-in spot, although this is often the case. Many public campgrounds only have a limited number of RV accommodations, so you'll always want to check first. Most campgrounds will allow you to reserve a spot online, so you can check with multiple campgrounds in your destination. Whatever you do, make sure to call ahead. Okay, we might be taking the spontaneity out of the trip, but you should tell at least one person you're on the road. If something happens to you, it's best that a couple people know where you were and where you were headed. Tell them when you're leaving, where your intended destination is, how to get a hold of you, and when you'll return. Who doesn't love checklists? Jot down all the supplies you'll need and start to create piles by the door.Start with the needs first, such as good, clothing and toiletries, then move on to wants such as movies or a radio. As you place things in the RV, check them off. This doesn't have to be a long process, you know what you need and want. Have you ever gotten somewhere and realized you had forgotten your toothbrush or worse- your underwear? You're left wondering how you could forget something so important! Sometimes, those little items get overlooked. Take a look at your checklist, walk through your RV and make sure you aren't missing anything important. Do you have enough blankets? Do you have pots and pans? Underwear? Just do a quick check! All of this can be done within a couple of hours, so you can enjoy the freedom of the road knowing you have everything you need. Have you ever taken a spontaneous RV trip? Where did you go? Did you forget anything?